Itel 1508 hanging on Logo tested 100% solution. Welcome to NCK Crack download Page. # MTK Add Meizu Preloader Port Support. # Qualcomm Add MI Prevent Relock(ADB) In ADB Mode. # Qualcomm Add MI6, MIUI10 Unlock Account ID. # Android Improve MI Disable Account. VIVO androids just like Tecno Infinix or lenovo. Are android running on MTK through few original original once are using Qaulcom chips. As MTK you can use many flashing box like nck bogle, miracle box, volcano box to flash the scatter file on bin file to the phones. You can also use software like miracle box cracked, nck cracked, SP tool, and so on to write the scatter file or bin file to the phone. VIVO androids come in different name and different MTK chip like mt6572, 6575, 6580. Another problem with VIVO androids phone is that refurbished has similar names like S7, S7i, S7iT, Y11 Y11i, Y11it etc. 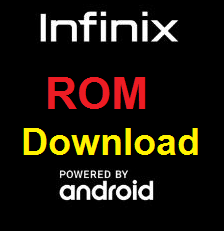 How to unlock bootloader in latest android phones to enable root, network unlock and FRP. Introduction of Android by Googla ‎bring about introduction of many security measures. The introduction of bootloader was widely used by HTC to checkmate their security. Unlike any other functions of Android unlocking bootloader is not easy. A bootloader is a manufacturer or re-seller. proprietary image responsible for bringing up the kernel on a device. For instance LG that is produced for MetroPCS will carry MetroPCS bootloader, But LG marketed direct will have LG bootloader. Bootloader may contain vendor images at same time controls the boot kernel. Unlocking bootloader or flashing another .Da file will bypass the vendor Bootloader. Recently, different android producing companies have come up with different security measures ranging from PIN, pattern, ‎password, face recognition, finger print and the rest. Upon all these security measures people still breaks down the security.